Last fall I wrote about Intel’s efforts in open source for visual cloud, as the industry gathered in Amsterdam for IBC 2018. As the focus shifts to Las Vegas for NAB Show 2019, I’m proud to share the gains we’ve made with these projects, in conjunction with the launch of 2nd Generation Intel® Xeon® Scalable processors. Since my last update, Intel has made great advancements on a number of key technologies supporting visual cloud: Intel® Media SDK for Linux*, Intel® Rendering Framework, Intel® OpenVINO™ toolkit, and next-generation encoder core libraries under Scalable Video Technology (SVT), specifically for HVEC and AV1. We remain committed to open source development because we’ve seen time and again how it accelerates innovation and enables companies to easily adopt new technologies. By focusing on core infrastructure technologies, like encoder core libraries for advanced CODECs, Intel provides critical, interoperable ingredients to the visual cloud ecosystem. This allows services providers and developers to focus on creating compelling products for their customers and increase revenue. A few of these core technologies are highlighted below. As the broader industry leverages these technologies, the open source community will continue to optimize them, powering even greater innovation and use cases. Our initial CODEC efforts are focused on SVT architecture, an encoder core library, because it enables multiple CODEC generations (HEVC, AV1, and VP9). As I noted last fall, we began working on a new SVT-AV1 open source encoder core library as an enhancement to the Alliance for Open Media (AOM). Through close collaboration with Netflix, we are proud to release the SVT-AV1 1.0 encoder implementation, which is highly scalable and significantly faster than other implementations, making AV1 commercially viable for the first time. To achieve this milestone, Intel optimized the underlying SVT architecture to take full advantage of Intel® AVX 512 performance yielding enhancements in key areas including three-dimensional parallelism, Human Visual System (HVS) optimized classification, and Resource Adaptive Scalability. With these enhancements, SVT-AV1 runs 65x faster than the HEVC-HM16 reference point at the same visual quality on 1080p content. This means service providers migrating from AVC could deliver the same content at about half the bit-rate. Recent Linux OS comparison performance tests on 2nd Generation Intel Xeon Scalable processors further illustrate the potential. In the tests, dual Xeon Platinum 8280s running the Clear Linux OS encode 1080p AV1 content with 24% better performance than Ubuntu 18.04.2 LTS (above 60 FPS), with the same Git state. Additionally, the latest CODEC optimizations show almost double the encode speeds on this new platform, compared to encode speeds from earlier this year. These Clear Linux optimizations go beyond just tuning the default compiler flags, which are typically attributed to Clear Linux performance advantages. For more details, see the latest test results published by Phoronix. Intel will continue to improve quality and speed, targeting 4K and 60 frames per second standards for 10-bit content. To learn more about open source SVT, read my colleague Craig Hurst’s blog and review the latest SVT-AV1 white paper. Developing the SVT-AV1 encoder core library is part of a larger open source project to release a suite of Intel building blocks and reference pipelines called the Open Visual Cloud. By combining optimized encode/decode, inference, and render software into reference pipelines of visual cloud services, we are offering companies a well-defined pathway to easily innovate, create, and enhance visual cloud services. Open Visual Cloud will leverage cohesive software across Intel platforms including CPUs, GPUs, and visual cloud workload accelerators. Additionally, it embraces a plug-in architecture and is interoperable with popular open source projects and frameworks, including FFMPEG and gstreamer for media, and TensorFlow, MXNet, and Caffé for deep learning. The modular approach allows developers to simply leverage plug-ins for when it’s necessary to migrate workloads from a CPU to an accelerator, keeping higher level software consistent across the pipeline. Open Visual Cloud also contains several different reference pipelines for key workloads as Docker scripts, so service providers can quickly deploy customized services without need for further platform investments. 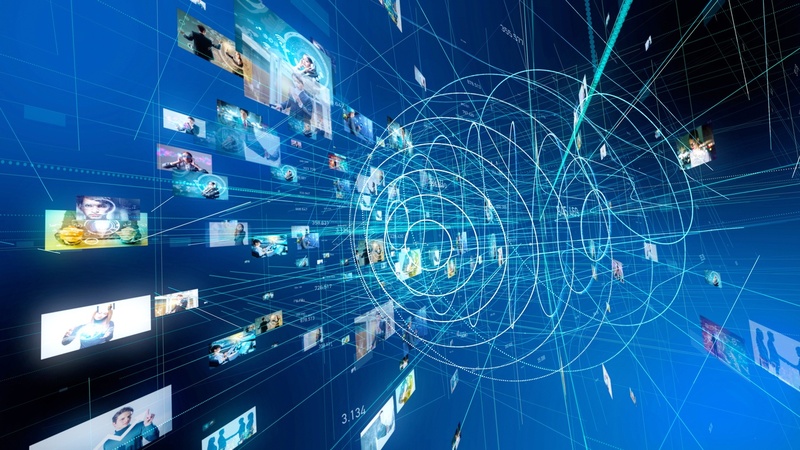 At NAB Show 2019, we will demonstrate two pipelines: a 1:N transcoding pipeline for multi-resolution video streaming in a Content Delivery Netfork (CDN) infrastructure, and a media analytics pipeline for targeted intelligent ad-insertion into live content. We will also highlight pipelines in development, such as immersive 360 VR, interactive ray-tracing, and audio-visual synching using artificial intelligence. If you attend NAB 2019, come see us by South Hall 207. We offer customers a private, pre-production environment to test the Open Visual Cloud reference pipelines. With these enhancements, the Open Visual Cloud now spans the four core building blocks of visual cloud: decode, inference, render, and encode, with Intel’s contributions of SVT CODECs, the OpenVINO™ Toolkit, and Intel® Rendering Framework. These building blocks are essential to delivering next- gen interactive storytelling that visual cloud services platform will be expected to support. Read more about Intel’s plans for the future of content delivery networks from my colleague Lynn Comp, and listen to Intel’s her discuss why media is fundamentally shifting on a recent Chip Chat podcast. For more details on Intel’s visual cloud efforts, visit intel.com/visualcloud. Imad Sousou is corporate vice president and general manager of the Open Source Technology Center at Intel Corporation. Sousou is responsible for leading Intel's efforts in open source software across technologies and market segments. These include: Linux-based operating systems such as Linux for data center and devices, Google Android and Chrome OS, and Alibaba AliOS; cloud and data center stacks such as orchestrators, containers, virtualization, hypervisors as well as cloud and networking system components; and IoT/edge system software including, robotics operating system, drone system software, real-time operating systems, microcontroller operating systems, embedded Linux, and software defined cockpit and client device software. He also leads development of software solutions such as Clear Linux, Zephyr, and Yocto and drives the technical relationship and enabling for Linux operating system vendors, cloud service providers, and original equipment manufacturers supporting customer platforms with on-site engineering and enabling partner products to ensure they include the latest Intel technologies. Sousou joined Intel in 1994 as a senior software engineer. Prior to leading the Open Source Technology Center, he was director of telecom software programs in the Intel Communications Group and director of software engineering in the Home Products Group. He began his career as a software engineer at Central Point Software working on system utilities for the Apple Mac OS. Intel has twice honored Sousou with the Intel Achievement Award; in 2007 for his role in the agreement with Sun Microsystems on Open Solaris, and in 2011 for leadership through open source solutions. 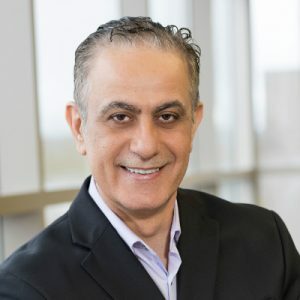 Sousou sits on the board of directors at the OpenStack Foundation, the Open Connectivity Foundation, the Dronecode Foundation, and the Cloud Native Computing Foundation; on the advisory board for the Core Infrastructure Initiative at the Linux Foundation; and holds a bachelor’s degree in computer science and mathematics from Portland State University.